Our trip is for the adventure traveler of all ages. We see the likes of long time adventurers, professionals on an adventurous break to the young and first time explorers. Our trip is for the adventure traveler of all ages. At Palawan Isles We see the likes of long time adventurers, professionals on an adventurous break to the young and first time explorers. It is a social adventurous outdoor experience for those who want a little more than the average tour package.Our Open Group Expeditions are suitable for travelers of all ages. Open Group numbers ranges from 8-18 guests on each expedition. We cannot confirm the size of the groups in advance. What time of year is good to visit? Our regular 5day/4night Open Group Experiences run all year. There are two main seasons in the Philippines, the high season October to May, which is called Amihan’- North East winds which bring the dry cool north east winds. And June to September, ‘Habagat’- South West winds which bring the rainy season, so pack your rain gears and expect some rainy days if you are travelling during these months.Over Christmas and the New Year Holiday we run special 6day/5night Open Group Experiences. When do trips Depart and Arrive? We have a set schedule for the season which you can choose from in respect to your availability and convenience. We have boats, one departing from Coron and departing from El Nido. All boats leave at the same day scheduled.Our standard expedition departure time is 0900H and our standard arrival time on the last day of the expedition is around 1600H. All meet up place will be arranged prior to your arrival on your designated place of departure ( Coron or El Nido). We will have a representative meet you to finalize details a day before your departure. In the case of sudden changes, we will inform you immediately on the new details of meeting place and time.We require all guests to check in or meet our representative a day before your departure to settle all dues/ remaining balance and paperwork. Briefing and boat familiarization will be conducted on the boat in the morning of departure. Any personal expenses on the village that we will stop and immerse with. Voluntary tip for the back bone of the expedition, the crew. Boat transfer fees if in case you miss the departure time/ day or in the case that you have to leave earlier than the rest of the group and arrive to a certain destination ahead of the arrival schedule. A fee of Php200/person for Eco Tourism Development Fee which is valid for 10 days. 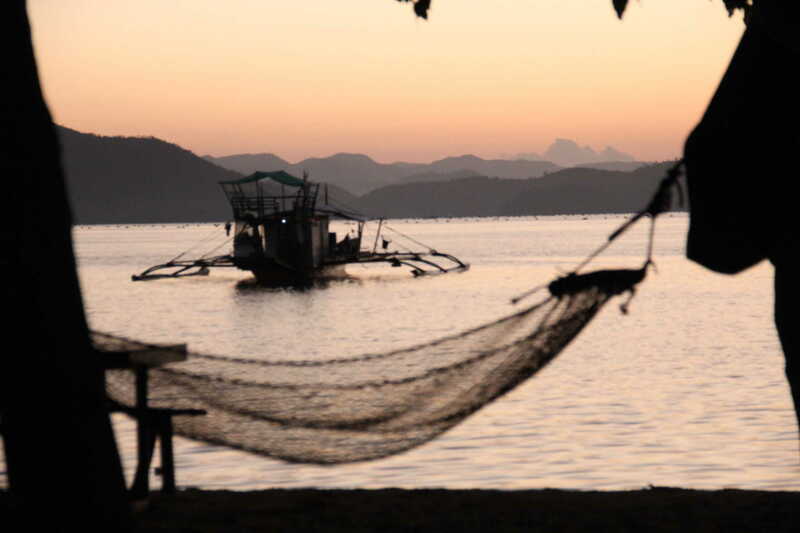 OUR EXPEDITIONS EXPLORE THE RAW AND REMOTE ISLANDS BETWEEN EL NIDO AND CORON. THEY ARE AWESOME YET THEY ARE NOT FOR EVERYONE! If you are the type who believes what makes a difference between an ordeal from adventure is one’s attitude, then this trip might be for you. This is an Expedition, not a tour… you will camp on islands, you may be bitten by mosquitoes and other insects, you may get wet from the rain while camping or traveling on the boat, boat engines may break down, the seas will not be calm and smooth at all times but your safety will always be prioritized. The expedition may be easy or it may be uncomfortable or even hard sometimes. Before applying to take part in our expedition you must understand that what we offer is not a tour or a hotel. Palawan Isles understand that what we do and offer is difficult and can be at times out of the comfort zone of some individuals. A place of the unknown and the unexpected. This is the lifestyle of the men and women of Palawan Isles and as much as they love it, they understand that it is not for everyone. We do not guarantee a nice relaxing time, in fact, we do not guarantee anything. We just provide all the tools to explore this awesome archipelago. & In the end … YOU and your adventurous spirit are the deciding factors! We highly recommend all travelers must have their own Travel Insurance. Remember that you will be traveling in a remote island. You should get a travel-insurance policy that cover loss and medical problems, missed and Scheduled Airline Failure connection, theft, and dangerous activities. Please let us know your preferred dates and how many are you booking for. We strongly recommend that you schedule your departure 1-2 days after your arrival on your designated place. We respect your privacy. By providing your email address, we understand you only consent to Janet Belarmino sending you occasional emails about our tours. We will not share your email address with any third parties. We will keep your email address secure. We do not attempt to identify individuals from email addresses provided. Should you wish to unsubscribe from Janet Belarmino updates on discounted trip, your email address will be deleted from the mailing list.